No change tables or surfaces for changing diapers. 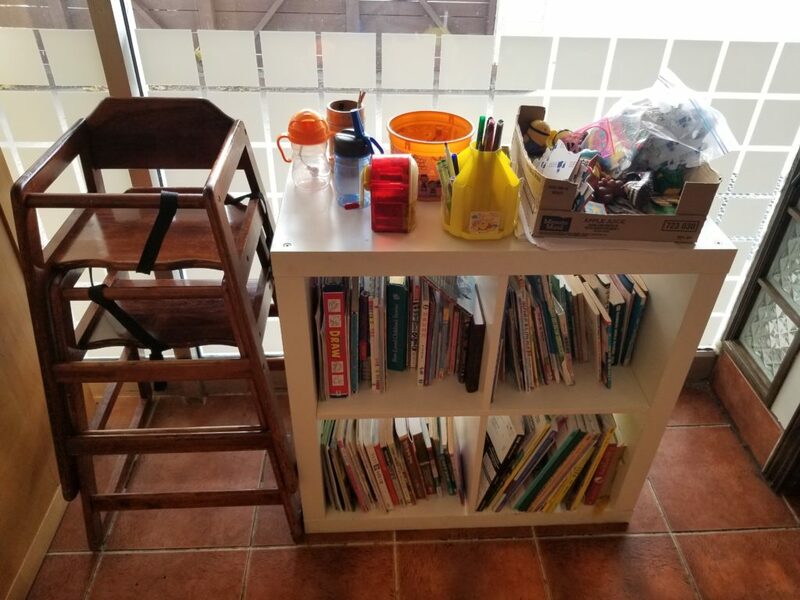 This is the first restaurant I’ve seen with a shelf stacked with kids toys and books! It is not a very large selection but I am sure there’s something fit for every kid! There were no plastic utensils or cups for children. The place was fairly clean but has apparent wear and tear on furniture, walls, and floor. High chairs were available (refer to photo above for type) but for a restaurant this size, only 2 high chairs seemed very little. 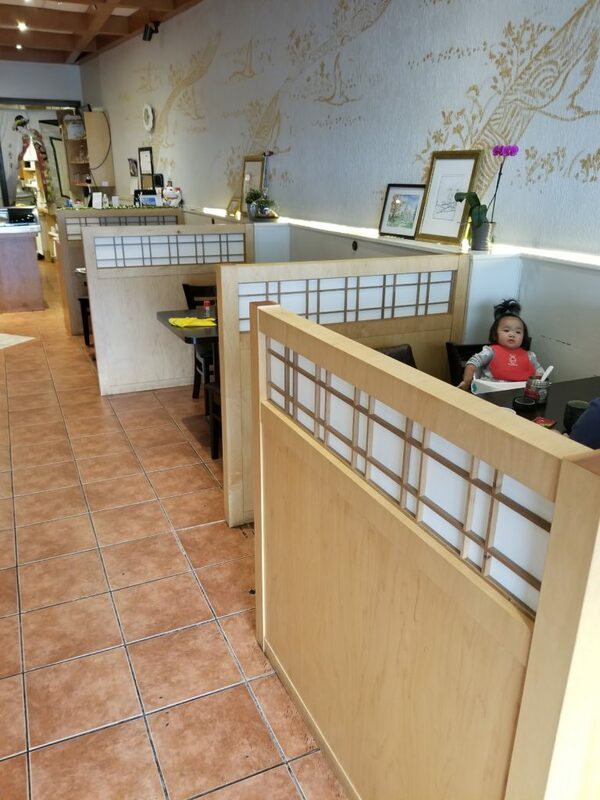 That being said, majority of the tables are ‘secluded’ or in booths so setting up these highchairs may be a bit difficult thus they only have 2 high chairs available. We came with Amber so we didn’t have a chance to try the food on the kids menu, but the price and food selection sounds pretty good! Even the regular menu had a lot of food that are kids appropriate (noodles, soup, rice etc.) so we’re quite happy with the food selection. 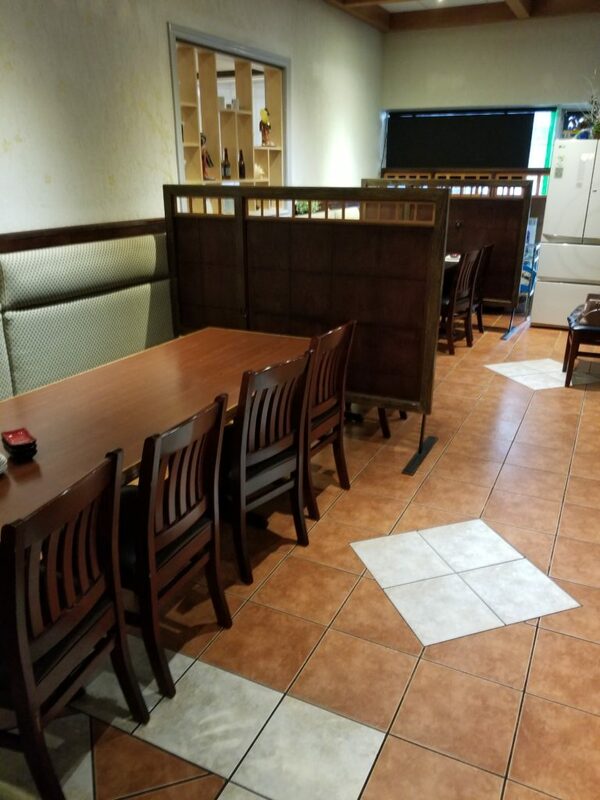 The restaurant was very spacious – a wide hallway and tables that are well separated. I can’t really remember if there was a ramp to the sidewalk, but we definitely didn’t have a problem getting on it. 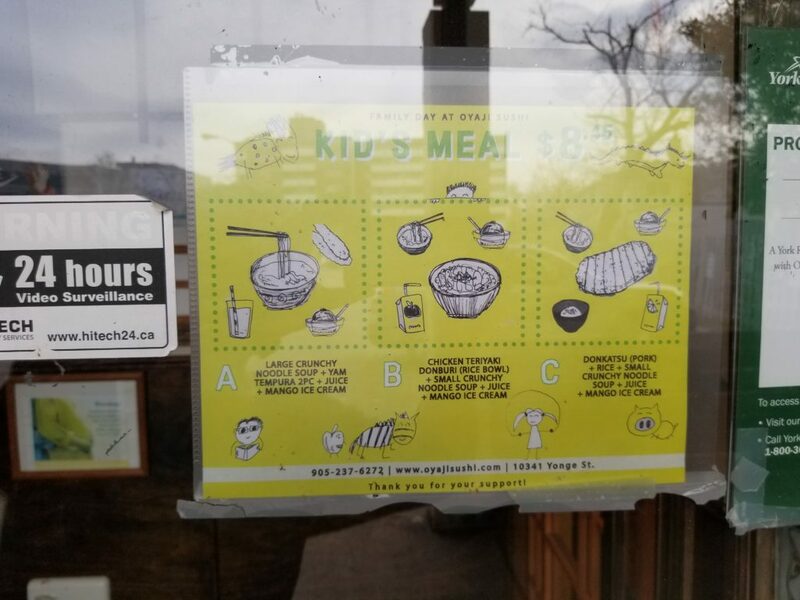 They didn’t have automated doors and has a vestibule, so if you are carrying a car seat or pushing a stroller, entering and leaving this restaurant may be a bit difficult. We will definitely come back to this restaurant because the price, food quality, spaciousness etc. is quite good for an every-day family meal. I particularly love the separations because it helps keep your kids ‘in’ if you do let them get down on to the floor, and I feel less guilty when they make a scene because we’re somewhat shielded. The service was also very good and the servers seemed to like children. 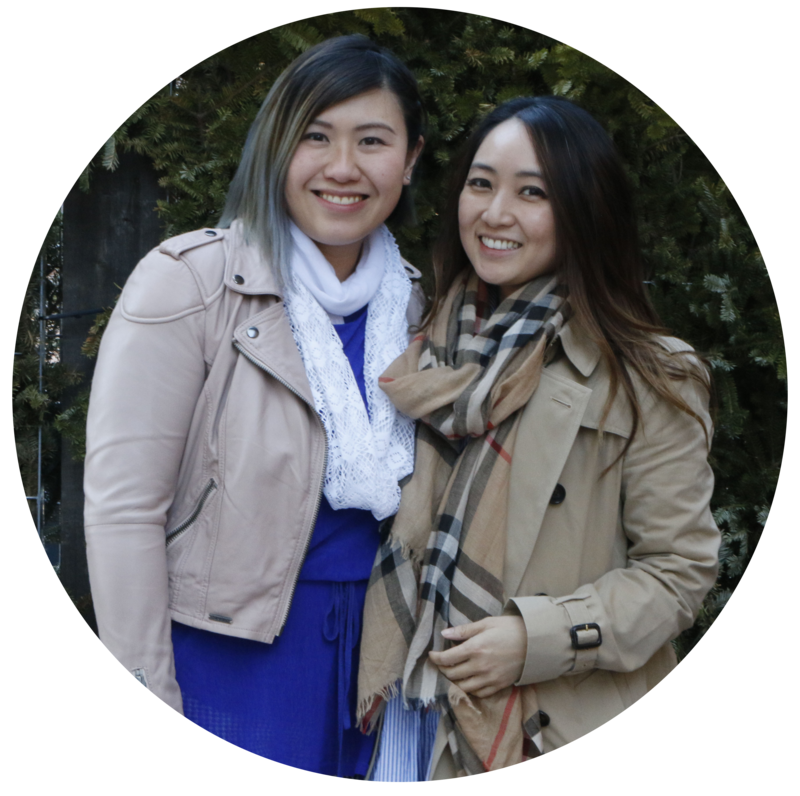 Been to Oyaji and want to share your experience with us? Please leave us a comment!